The rainbow haircolor trend has been going strong for years, leaving everyone mesmerized by variations such as mermaid hair, opal hair and oil slick hair—all Instagram-gold trends and all gorgeous. Now, there’s another take on it to put on your radar and, as with every rainbow haircolor trend, it’s also super-pretty: geode haircolor. This variation on rainbow haircolor takes its inspiration from rocks that look ordinary on the outside but look absolutely magical on the inside. That’s because geodes have hollow cavities lined with layers of colorful, crystallized minerals, which you can see for yourself if you crack a geode open. These minerals include quartz, calcite and amethyst, a purple variety of quartz. So how exactly does a cool rock translate to a hair trend, you ask? According to Refinery 29, colorists have been channeling the colorful layers of geodes into a dreamy, iridescent, amethyst sombre (or subtle ombre) for their clients—giving them haircolor that reflects one or two jewel tones when it hits the light. Amethyst fades into lavender, bright blue, aqua—you get the picture. The results are subtle yet breathtaking. Colorist are taking the geode haricolor trend and putting their own spin on it, producing sombres that aren’t just purple but blue or pink. For a dramatic take on the geode haircolor trend, some colorists are enlisting the help of underlights—a.k.a. 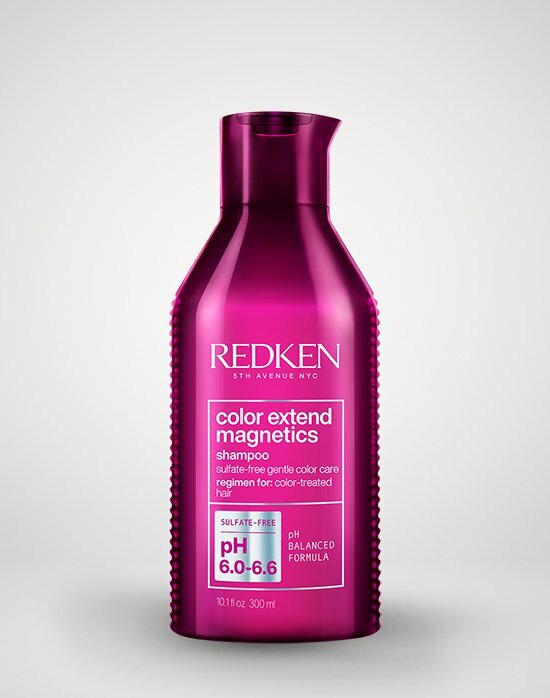 peekaboo hair color in the lower layers of hair—to give hair a more obvious resemblance to the cool rock. For all our salon professionals reading this, Laura shared the City Beats color formula she used to create the look above! Entire Zone 1: East Village Violet / Midtown Magenta / 3 dots Brooklyn Blue melted into ribbons with Zone 2 being Indigo Skyline and Zone 3 alternating formulas of: 1) West Village Sunset – equal parts clear, 2) Midtown Magenta- clear equal parts, 3) Times Square Teal and 4) Brooklyn Blue with some clear. Loving this vivid hair color trend so much you want to make your own hair sparkle like a beautiful amethyst crystal? 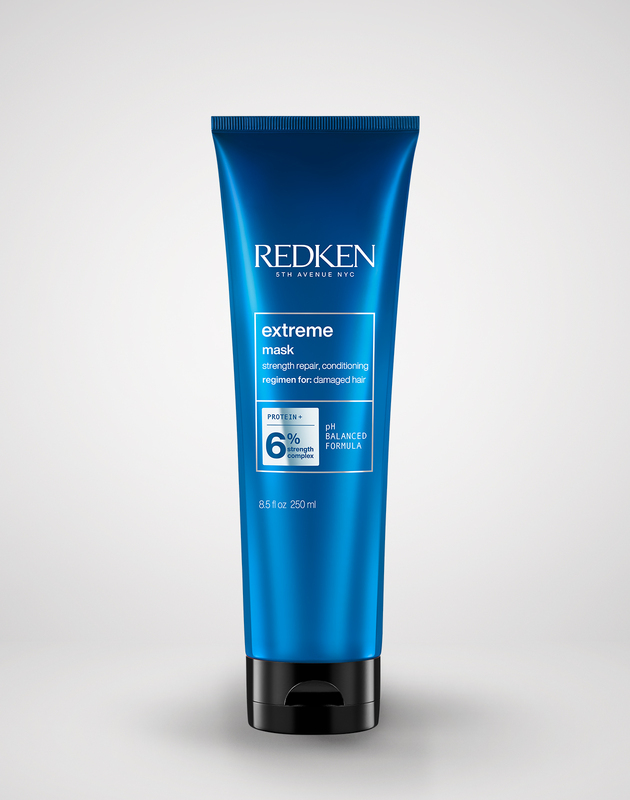 Redken can help you get the look. Its City Beats, a line of semi-permanent acidic conditioning color creams, is easy to apply, provides lasting, vibrant color and includes some gorgeous purple and blue options—Indigo Skyline, East Village Violet, Times Square Teal and Broadway Blue are just some of our favorites—making them perfect shades to experiment with when getting geode haircolor for the first time. 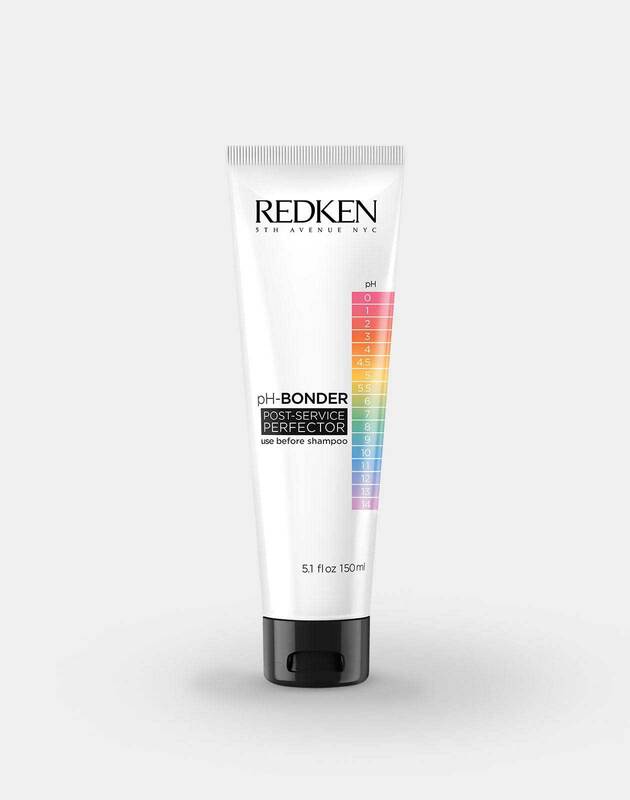 For extra protection when you color, Redken also offers the pH-Bonder service to protect bonds, add shine and keep hair strong and soft. Ready to schedule your appointment? Head on over to Salon Finder to locate your nearest Redken salon.